Thinking about buying a franchise with your significant other? Ask yourself seven important questions to determine if you and your spouse would make good business partners. Couples are going into business together more than ever before. About 1.2 million Americans run a business with alongside their spouse. Companies like EventBrite, Modcloth, Panda Express and Gap were all built into major brands by married couples who found success both personally and professionally. 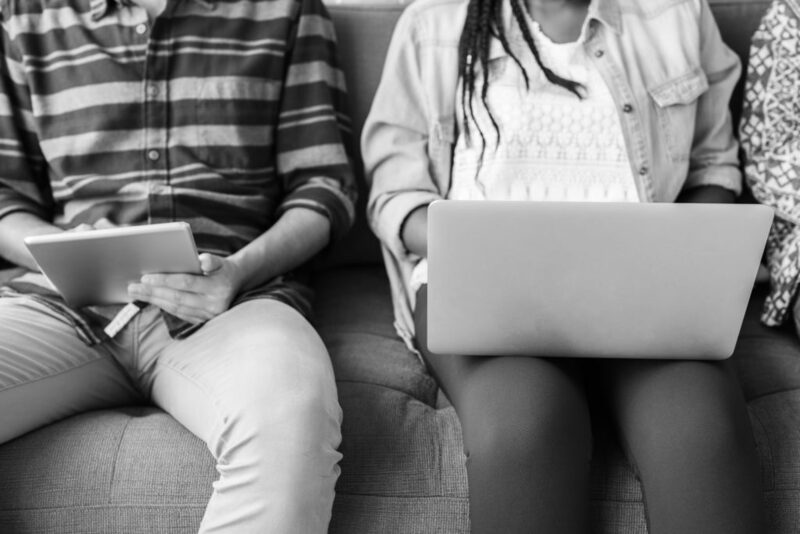 If you and your spouse share a goal of owning a business, the next step is, well, figuring out if you’re the type of couple that would likely work well as business partners. The key to figuring that out is asking the right questions. Here’s seven of the most important, according to our very own spousal franchise owners. 1. Do you work well together? In general, if you both share a strong feeling of mutual respect for one another, and already have a good handle the more business-like parts of your relationship, you should fare well in a business environment. As a married couple, you’ve likely already built trust and understanding. The question now is: do you both have the professionalism to maintain trust and respect when a disagreement arises in the business? The answer lies whether both of you are able to deliver feedback that’s honest and constructive without affecting personal feelings. Put even more simply, can you both work for the good of the business without affecting your personal relationship? 2. Do your skills complement each other? One of the biggest reasons businesses succeed with co-owners, married or not, is the fact that their skills come together to achieve something bigger than what one person could achieve on their own. 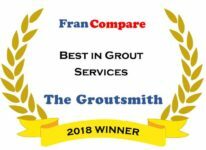 Here at The Groutsmith, for example, our franchise model is perfect for couples because one person can manage the admin work from a home office while the other manages projects in the field, whether they decide to hire others to actually do those project or decide to do it themselves. Here’s some simple homework: Write down each person’s skills and, given the kind of business you want to go into, who should be responsible for what. Dividing responsibilities from the very start not only ensure your skills complement each other but give both people purpose going into it. You’ll know who is going to take the lead on one aspect of the business while the other person pursues another. With this figured out, you both have your roles and won’t interfere with each other’s work. This helps to keep you both focused on your shared business goals while still contributing to the business in your own ways. If you’ve done this, you’re more prepared than most couples who go into business with each other, so take a moment to feel good about it. 3. Can you separate your personal life from your business life? This is key. Drawing the line between work life and family life can be tough, but when you nail it, you can unlock a whole new dimension to your relationship––one that few couples ever get to enjoy. The best advice here is simple: Clearly communicate to one another how you plan to balance your marriage with the business. Write that plan down, and put it where you can see it. The right mix here depends entirely on who you are and what your relationship looks like. It could mean regularly scheduled date nights, time for yourselves, separating some part of your work life away from your home life, or anything else that will make that line bold. 4. Is the business you choose financially viable? Have an open and honest conversation about how the new business will affect both of you financially. Are the incentives different for one person? If so, air that issue out and talk it through. It’s no surprise that most new businesses don’t see a profit right away. That’s just a part of starting a business. That can all be handled by creating a thorough business plan and discussing finances with your spouse to make sure everyone’s clear on funding. 5. Do you share the same vision for the future? Going into business together takes courage. That typically comes from passion and a determination to get somewhere in the future. Make sure both you and your spouse articulate your goals and make sure they’re shared. Where do you want to be in five years? What about ten? Make sure you both feel there’s a balance here to avoid the awkward problem of one person having to contribute more than the other. 6. Do you anticipate the risks? Every business brings risks. It’s an asset you’re investing time and energy into, so you want to protect it from failure. Have a plan for what to do if things don’t go as planned and anticipate everything. Maybe one of you suddenly becomes ill or unable to continue as you have been. Put these plans in writing so you’re both confident you’re prepared for anything. 7. Are you prepared for bumps in the road? Married couples are pros at dealing with challenges when they arise. Just like in a personal relationship, it can be exciting to dive into new opportunities together. But, like any new business, there are bound to be bumps in the road. Again, the advice here is simple but worth stating: Remember to support each other when something challenging does come up. How you manage these moments will determine your success, both at home and in your business. Many franchise playbooks are built for two. When you buy a franchise, you get a proven system for setting up and operating your business. This is one of the main reasons people choose to buy a franchise instead of starting a business from scratch. In these systems, as we discussed earlier, roles and duties are split up and distributed among both people, making it clear who needs to do what. This way, both people can be sure they’re tackling everything that needs to be done without stepping on each other’s toes or letting important things slip through the cracks. Here at The Groutsmith, our franchise system is perfect for couples. one person can focus on admin work at the office. The other can handle job estimates, technician assignments, and demos for new customers. Talk to us about how we can set you and your spouse up with a business model perfect to tackle together. Interested in a franchise that works perfectly for spouses? 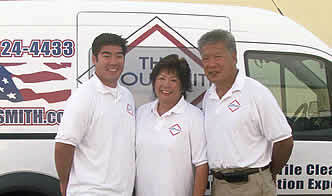 Click here to learn more about The Groutsmith’s franchise opportunity. Want to start a conversation about owning a franchise of your own? We’d love to talk. Click here to contact our team and learn more. Interested in a low-cost franchise opportunity you can grow by creating a community of dedicated customers? Click here to learn how The Groutsmith has become a pioneer in grout and tile cleaning, repair and restoration. Want to start a conversation about owning a franchise of your own? We’d love to talk. Click here to contact our team and learn more.